After a ten-year stretch as director of the interpreting department for a mid-sized language company on the East Coast, I have recently reentered the freelance world. The language industry has changed considerably for independent contractors since I last worked as an interpreter, and while there is more work to be had, there are also more interpreters and more rigorous standards, certification requirements and regulations. I have encountered the freelance challenges of self promotion, procuring assignments, and negotiating scrutiny in the face of fierce competition. I’ve taken stock of what interests me, what I am good at, my current qualifications and of course, what is in demand. My strategy is to secure work with agencies as much as possible to build my practice, while concurrently developing my skills, accreditations and specializations. Below is a systematic approach which breaks down the various elements or steps in the process. This is not intended to be linear but rather circular in that many of the elements can be revisited and are interchangeable, overlapping and ongoing. Knowledge is power. Keeping current means staying informed of latest trends, new regulations, recent developments and relevant technology to better understand your place in the business. Starting with a thorough and honest self-assessment will help you know how you fit into the professional spectrum and how you stack up against the competition, in order to leverage your services. 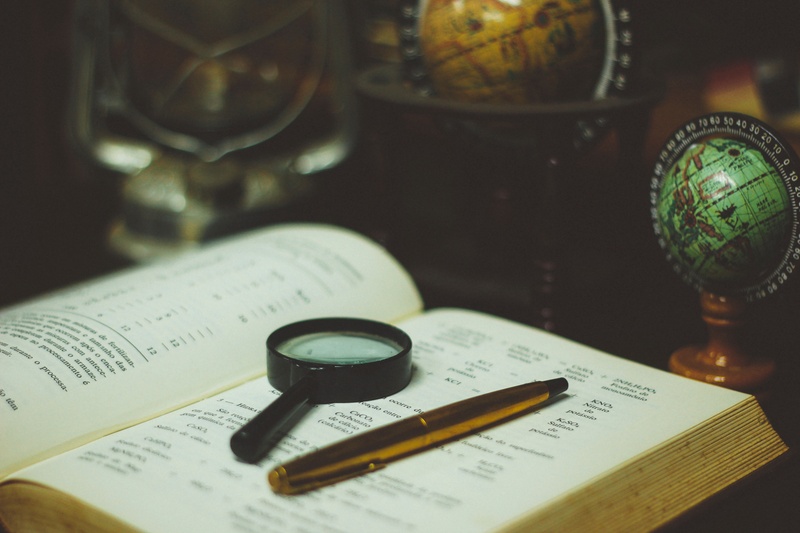 This self examination can be critical in determining if and how you are equipped to be a successful freelancer in the language industry. Education: What was your field of study, what degrees or certifications have you attained or do you need to attain to adequately compete? Skills and Proficiency: For interpreters, modes in simultaneous, consecutive, or sight, and for translators, what CAT tools and formats do you work in and what is your maximum capacity of words per day? Background: What are your working language pairs and are they equally bi-directional? Are you a native speaker of one or both languages of your pair (for interpreters) or of the target language (for translators)? Have you lived or worked in the non-native country? How many years have you worked in the industry? Personal considerations: Are there any health or family restrictions? Interpreters: Are you willing to travel? Do you have the time and resources to service a large geographical area? With small children, how many hours a day can you dedicate? Are you the main breadwinner in your family and are you capable of working at this on a part-time or full-time basis? Are you financially able to weather seasonal dry spells? This may influence the volume of work you may need to generate as an independent contractor. Where is the work? Is there enough work for your language pair in your region to sustain a career in the language industry? Do you plan to work solely as an interpreter, a translator or both? What is the going rate for your services in your region? How unique is your language group – locally or nationally – and how do your qualifications compare to those of your colleagues with similar education and backgrounds? What and where are some of the dominant or obvious business opportunities for your language group (e.g. Pashtu/Government, Japanese/Patents). If you know that the demand for your specialization is greater than the qualified supply, it is advisable to assess the current industry value, capitalize on that uniqueness and strategically position yourself accordingly. Once some of the questions above have been addressed, you can begin to research and explore the agencies which might best fit some of the above established criteria. For most interpreters, starting with a local search makes the most sense. Working through your local Chapter as well as the ATA for their corporate members is another good place to begin. The ATA annual conference attracts agencies from all over the country that have legal, medical, business and government clients in states beyond the location of their headquarters. Referrals from colleagues whom you trust and respect can also be a great way to expand your services to new agencies. Ultimately, you want to find agencies that are a good match for your services and that are reputable. It is always a good idea to cross-reference a new or unknown agency with other experienced and respected colleagues. Once you have identified and captured your qualifications, you will need to organize and present your profile in a single document tailored specifically to feature your professional language skills. For most agencies, a one or two-page resumé should suffice to accurately package your services. Your resumé is your single most powerful marketing tool. It is your opportunity to tell your story, to pitch your unique services to a Project Manager (PM) or Vendor Manager. These are typically the ones who receive, analyze, file or discard solicitations by hundreds of applicants both locally and internationally. A resumé should be above all truthful, well organized and formatted, concise and easy to read, with consistent and accurate grammatical structure. I have seen too many resumés tossed because of poor planning, typos, gaps of information, or language skills hidden in obscure places where they are easily missed. Polish your resumé so that it is outstanding and structured so that your most salient skills are immediately recognizable at a glance. For higher-level work (e.g. legal document review, conferences) a longer CV may be desirable which details the years, clients and specific nature of complex assignments. Resumés should always be sent in a protected format such as encrypted PDF to protect your information and prevent tampering or piracy. Once you have conducted the necessary research to identify the targeted ideal agencies, you will need to put together an organized outreach strategy to circulate your resumé for potential work. Utilize LinkedIn and treat it as an extension of your resumé. If you do not have a website, recruiters doing a simple Google search of your name will find your LinkedIn profile. 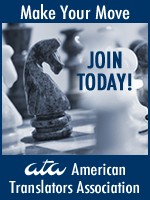 If not already a member of ATA or your local ATA chapter, invest the time and minor funds to join and tap into the terrific resources each offers. The better agencies will always resort to the directory in their searches for linguists. ATA, Chapter or Affiliate networking and educational events offer not only professional development and social support but also provide the opportunity for face-to-face contact with sponsoring agencies. The ATA annual conference and the ATA directory profile also attract top national agencies searching for talent. More and more professional translators and interpreters are creating websites to promote their services and can be another great marketing tool to reflect a polished, professional image, which can generate a lot of online traffic. Applying the same structural, aesthetic, grammatical and ethical rules as resumés, websites also require additional maintenance and utility. It should be noted that an outdated or dysfunctional website can be detrimental to landing a job and worse, to your reputation. An email is your chance to close the deal, especially if acquiring your services may satisfy a deficiency in an agency’s language roster or fill a void for the loss of another vendor through illness, death or relocation. If you are following up with an agency after personally meeting with the owner, vendor manager or PM, be sure to add a personal touch, recapping the event with perhaps an anecdote reminding them of a chat you might have had or a colleague’s introduction or referral. If you are reaching out cold, try to make it as personable as possible, addressing it to the appropriate person. Emails with an impersonal opening, poor grammar or spelling in the target language might be deleted without even getting the resumé attachment opened. Because you never have a second chance to make a good first impression, an introductory email has to strike the right note and indicate the courtesy, professionalism and communication skills that would be desirable from a vendor representing the agency if ultimately hired. At the risk of being obvious, when presented with a job opportunity, not missing deadlines and returning emails in a timely fashion are sacrosanct to a successful practice. One of the most rewarding aspects of our profession and an additional benefit of working with multiple agencies is the variety of assignments you can enjoy in a given week. Both legal and medical certification programs require continuing professional development as part of the code of conduct and ethics. Developing skills through diverse workshops, courses and accreditation programs, besides refining our skills, can permit you to expand the types of agencies, clients and settings that require language access. Once an agency evaluates an independent contractor as a top-tier vendor, they will always call on them first when a choice assignment becomes available because they know they can rely on quality, with consistent, fairly priced services. Another great way to keep your profile prominent on an agency’s radar is to regularly communicate to them new certifications achieved, new industries you are able to cover or an increase in your availability. Once you become a regular and can develop a relationship with one or two PMs, remind them of your services, keeping them informed by contacting them with vacation notices, birth notices and/or Christmas cards. PMs will often share these with co-workers and the preferred status is then shared among departments. All of these individuals are more than clients; they are human beings who – in addition to appreciating quality, flexibility and punctuality – respond to kindness, humor and courtesy. Tony Guerra, the current president of the Delaware Valley Translators Association, has more than 20 years of experience in the management, marketing and development of multicultural communications services. A native of Havana, Cuba, he has worked as an independent contractor as well as in-house with companies and agencies. His Spanish<>English translation and interpretation services specialize in legal, medical, government and marketing sectors. 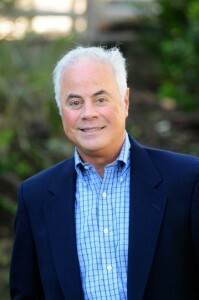 Besides chairing DVTA’s PR and Certification Committees, he is also highly involved in numerous volunteer activities for the American Translators Association (ATA) including as National Chapters Chair, the interpretation Policy Advisory Committee, the PR Committee’s Speakers Forum and ATA’s Mentoring Program. Thanks for sharing your veteran perspective. Good point there at the end: “All of these individuals are more than clients; they are human beings.” This is a broad principle that applies beyond our professions too. My pleasure. I agree, My experience has been that kindness and integrity are core to cultivating satisfying personal and professional relationships.